A glorious couple of days for Flemensfirth continued at Leopardstown on Monday when Prince Of Scars (5g Flemensfirth-Spirit Leader, by Supreme Leader) took the G1 Christmas Hurdle in the colours of Gigginstown House Stud. The improving five-year-old is unbeaten in three starts over hurdles this season and looked a top-class performer as he bounded clear of Alpha Des Obeaux to win the prestigious contest by four lengths. He was a second G1 winner for Flemensfirth in as many days following the victory of Flemenstar (10g Flemensfirth-Different Dee, by Beau Sher) in Sunday’s G1 Paddy Power Chase at Leopardstown. A former point-to-pointer who cost €175,000 as a three-year-old store, Prince Of Scars was bred by Eamon Salmon out of the County Hurdle winner Spirit Leader. 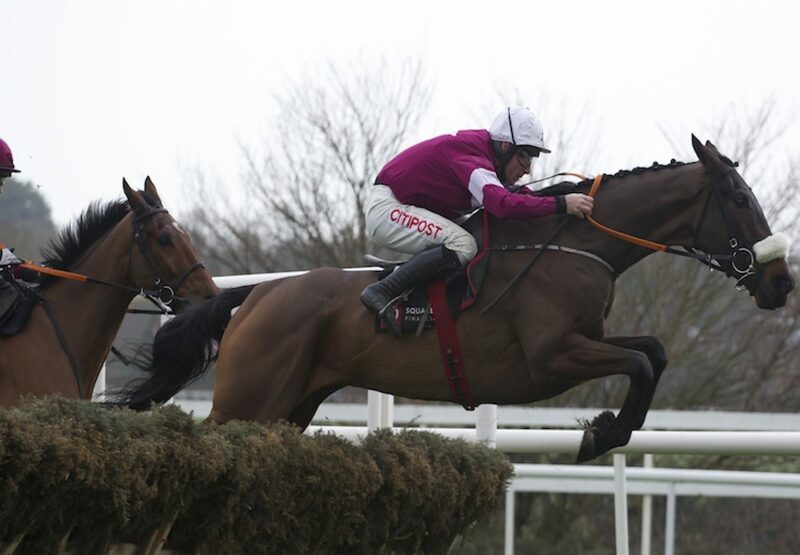 Trainer Gordon Elliott feels that the Flemensfirth gelding could be even better over fences. "I thought he'd run well but didn't think he'd be good enough to beat them as he's still a big rakey horse,” admitted Elliott. "He's a big massive horse and when he jumps a fence I'd say he'll come into his own. It's nice to pick that up on the way. He's a big honest stayer and I actually won a bumper on the dam. Winning rider Davy Russell added: "I was full of horse turning in and conditions suited. We went a good gallop and he jumped well. He is on an upward curve. "In fairness to Gordon he was full of confidence. He was kind of worried that I didn’t really fancy him and he was telling me that this horse really does have a chance. He told me to take my time and let him warm into the race and he said once he warms up he will keep galloping. He has got an awkward head carriage but he is very genuine."